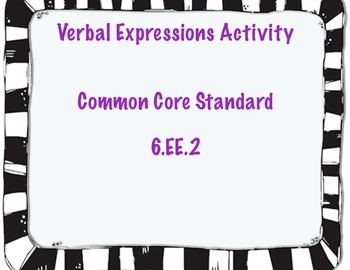 This activity gives students the different key terms that mean addition, subtraction, multiplication, division and equals. 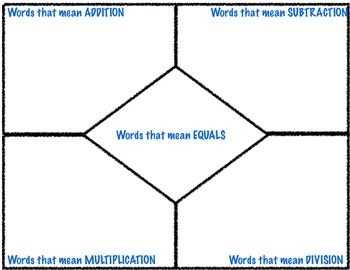 Let the students cut and paste the words into their appropriate place. 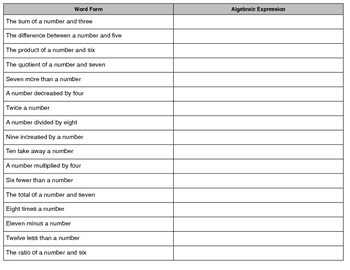 The second part of the activity have students highlight key terms to come up with the different algebraic expressions.